–– In collaboration with Juyeon Lee & Rachel Murray. How might we make it easier to share personally identifiable information in a disaster, for citizens to receive and share resources, and aid workers to give resources and information? 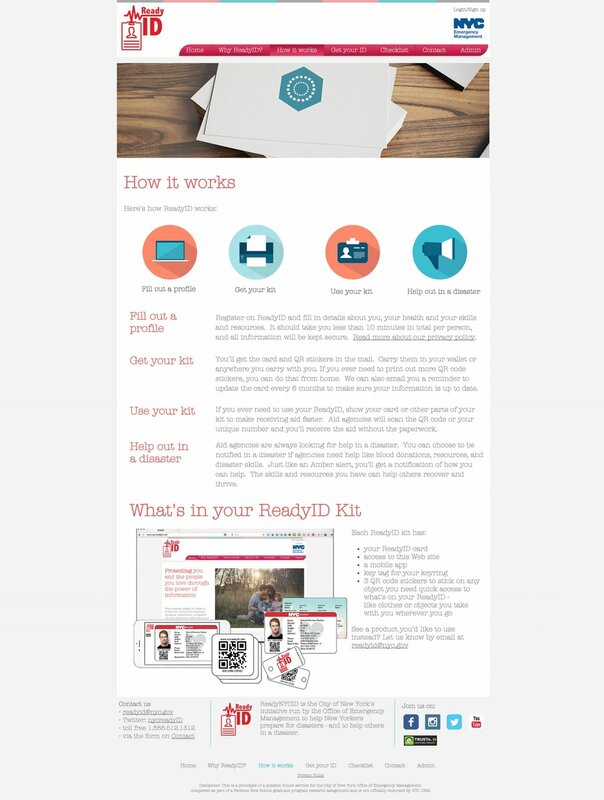 What if there was an ID card that helped people exchange information as part of disaster preparedness and response? The ‘ReadyID’ is a service design proposal aimed to assist citizens and aid workers, before, during and after a time of a disaster. Our mission was to design a system that helps people reach their information, which they will need to know in a time of a crisis, along with a platform for exchanging resources. The system aim is to get the formal and informal to work together. The user - citizen's personal disaster information, e.g., specific meds. The user disaster resources and skills. A ‘reverse safety check’ to facilitate instant volunteers. 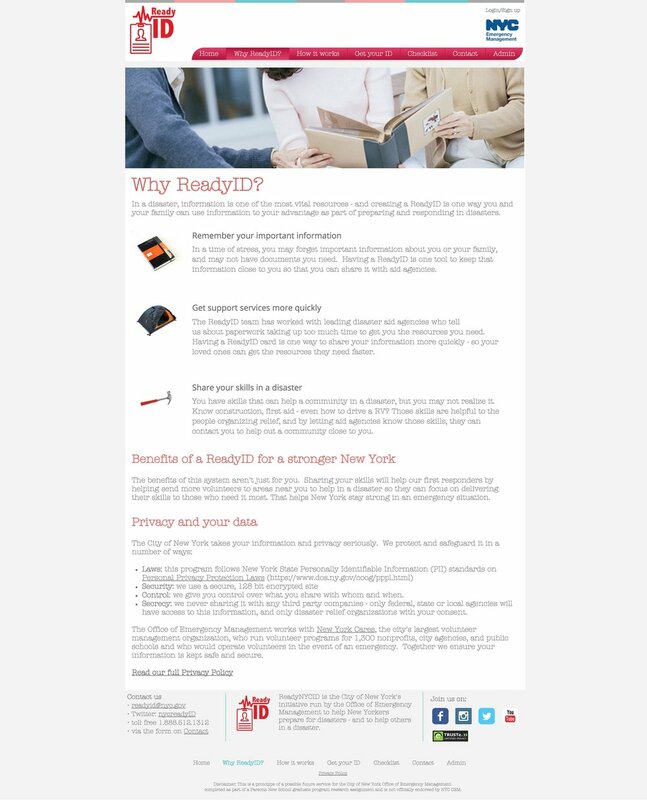 The ReadyID is more than just an ID card. We envisioned this as a suite of products. We wanted to connect those new and the existing systems into a better service. The system contains a Website to help prepare people, by registering through the site, and by using a preparedness checklist. A mobile App, physical card, but also a QR code and key tags. The kit is both digital and nondigital. You may not have all of the kit with you at all times, but chances are you’ll have something among the digital and nondigital. Why being prepared for a crisis is not normal in our behavior? Connect individual and community in a disaster through automatic volunteers system, using their everyday skills. Help aid workers with volunteering, and reduce the time for providing citizens assistance, standardization for ID and possibly for aid agencies. Helped people know about their personal information - increasing awareness of the importance of personal information in a disaster. A design workshop- we worked with stakeholders, created personas, empathy and business owner.maps to understand how to ensure our design in user or human centered. In a disaster, what’s important to know about them to give them help? 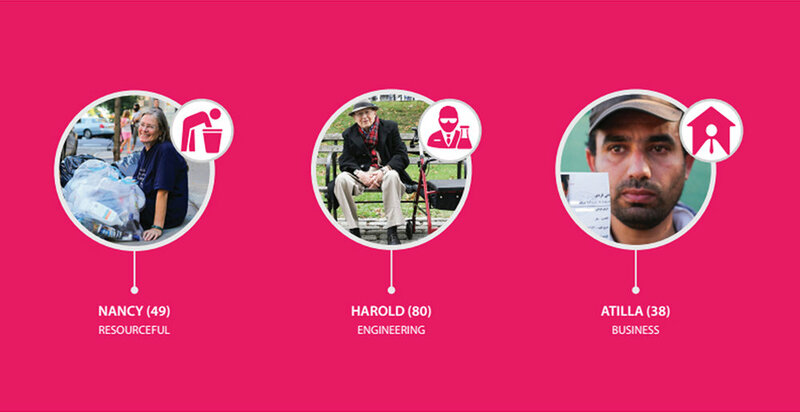 Personas- These were 3 personas - Nancy, Harold and Atilla. 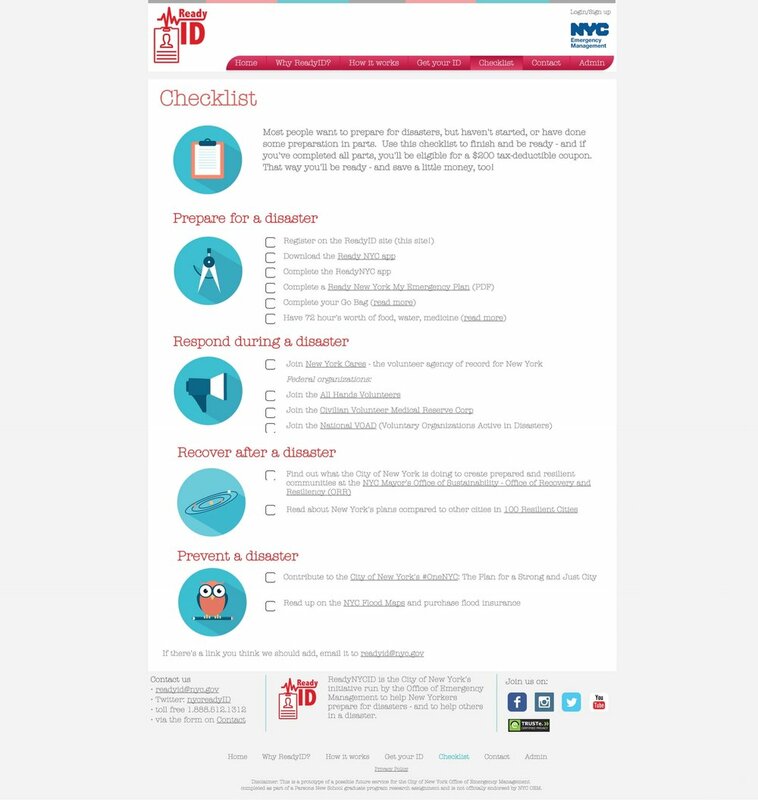 The site will help prepare people for a time of a crisis, by registering through the site the user will go through a preparedness checklist of things to do to prepare for disasters. They will get educated about their information, and will learn about useful local resources for the crisis time. Eventually we see this incorporating geolocation - geotagging and identifying potential vulnerabilities, so people with medical issues, people without social infrastructure, people in geographically difficult situations could be contacted ahead of time, and tie what can work and incorporate that for response on a personal level.